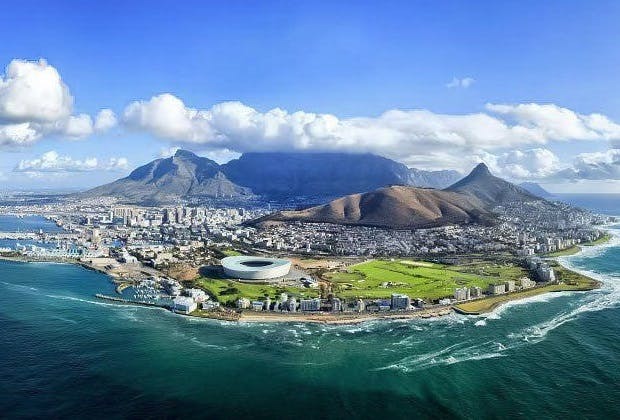 Cheap Flights to Cape Town, South Africa. Return Flights. The IATA code for Cape Town is CPT. Cape Town has the Coordinated Universal Time adjustment of 7200. The cheapest airfare to Cape Town is $1,530 departing from Brisbane on Singapore Airlines. Lavistown is the closest train station to Cape Town airport. @JanvierNoir 2 flights omw home from cape town.